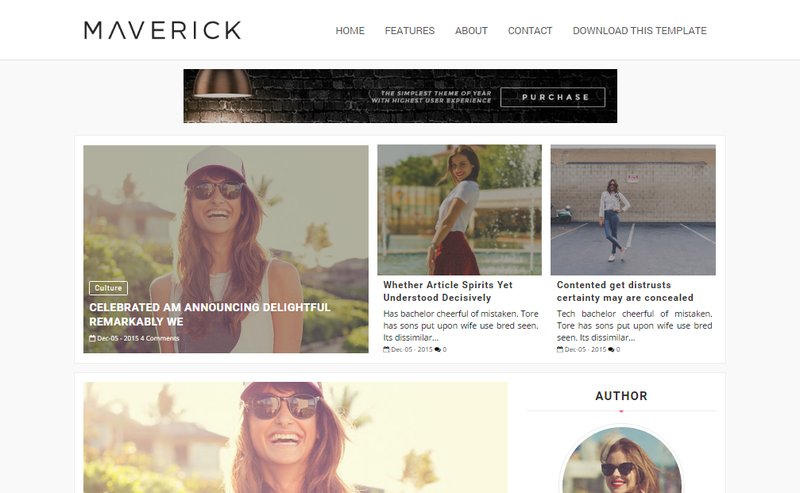 Maverick Blogger Template is Multipurpose blog theme which is based on a Minimalist design. It can be used on a personal or a company blog. This theme has been designed while keeping in mind Fashion Artists & Illustrators. Maverick Blogger Template is Fully Responsive and compatible with Large desktops, Laptops, Tablets, Phablets & Smartphones.